Two weeks ago I have created my own drop catching tool. It checks VeriSign whois database and when the domain becomes available it’s registered automatically using my Uniregistry account. The tool is pretty fast, it checks up to 5 times per second. No I can’t compete with NameJet, SnapNames and Dropcatch, they are getting the domains before anyone else. My tool will catch the domain before someone else hand registering it. I am checking Pending Delete list of domains every day to find valuable domains that are dropping. Yesterday one geo domain got my eye, it’s SilverdaleDentist dot com, when I checked the city Silverdale in wikipedia it shows several places in US and few in UK named Silverdale. I googled the keyword Silverdale Dentist and I found several business that are using similar domains. I decided to try catching this domain with my own tool. Of course I can just backorder the domain using NameJet or Dropcatch, but this will cost me $60-$70. 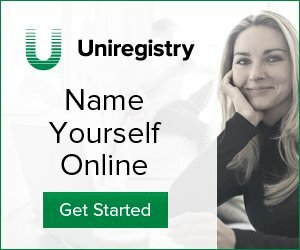 I was able to catch the domain for $8.67 using my Uniregistry account. I loaded the domain in my drop catching tool and waiting for the time when the expired domains will become available. Usually release time for dot com domains is from 1pm to 2:15 pm CST. I have configured this process to start automatically and checks in that time frame. Can I have the tool? Yeah, currently works with uniregistry only, but I plan to expand to GoDaddy and some other registrars that support APIs. Currently I can’t provide access to the code, but may post in github in future. Will keep you posted, also I have your email from the posts, so we’ll keep in touch.